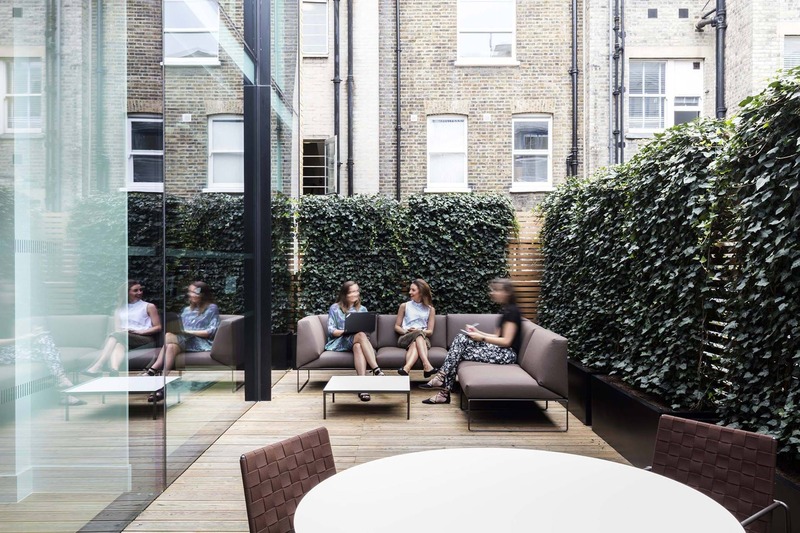 Award-winning international design studio Scott Brownrigg Interior Design has completed the fit-out of Craigewan’s new offices at 33 Great Portland Street in Fitzrovia, London. As new developers in the luxury residential market, Craigewan wanted to make a strong and lasting statement with their new workplace. Its design needed to communicate their position within the industry and reflect their ethos and reputation as designers of elegant, beautifully detailed and highly functional spaces. 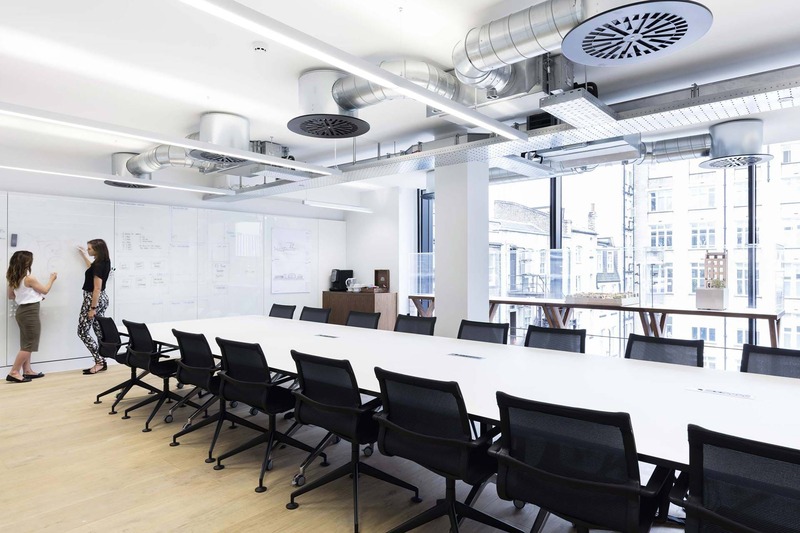 This simple vision informed every aspect of the design response, from the ergonomic hand stitched leather wrapped door handles to the full height sliding whiteboards. The design concept is inspired by materials and colour palletes synonymous with the luxury residential spaces Craigewan create. Wide board oak flooring, antique bronze ironmongery, a leather paneled reception desk and silk rugs all exude a sense of comfort and refinement. Office space is laid out over four floors with the investors’ floor on level 2, the reception and primary workplace on level 3, project space on level 4 and a social space and roof terrace on level 5. Each floor therefore accommodates a unique function and activity, with visitors and staff actively moving between floors during the working day. In order to achieve a consistent visual connection between floors, common materials, design forms and colours were selected. Timber flooring was also used throughout to provide an additional sense of continuity, giving visitors the impression of a large seamlessly connected space. The rooftop was carefully designed as a multifunctional space which accommodates a variety of events, from more formal client entertaining to casual staff and social events. Timber slatted screens and metal louvers shield the space to ensure privacy from the surrounding buildings.